This great art magazine was stuck on an aging, buggy web site that undermined their 2,000+ articles of fantastic content. When it was time to upgrade, we took up the task of transferring and debugging that massive amount of content and placing it in a new minimalist design that highlights the artists’ work in every article they post. The new, integrated store makes it easy for them to sell books and magazines, keeping an online inventory of every product. 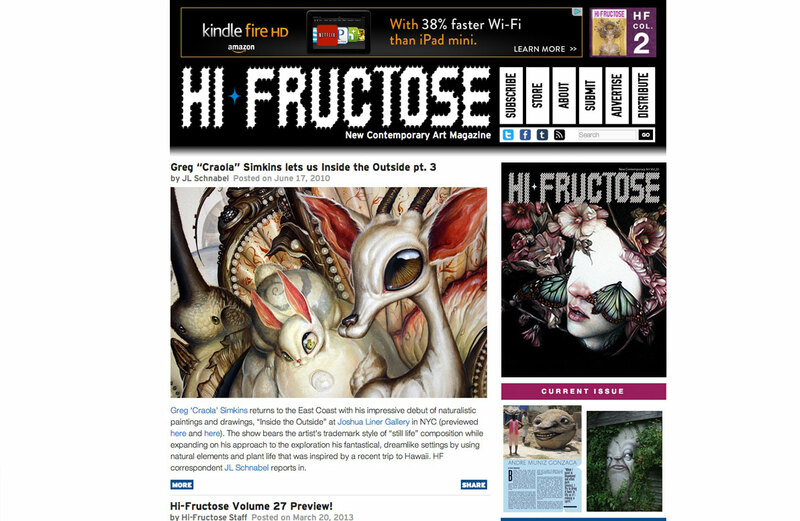 Hi Fructose is an internationally distributed art magazine, covering hundreds of unique artists across the globe since 2008. Its six annual issues and daily web articles give readers an in-depth look at the artists behind a wide range of different styles, often highlighting surrealist and abstract paintings.